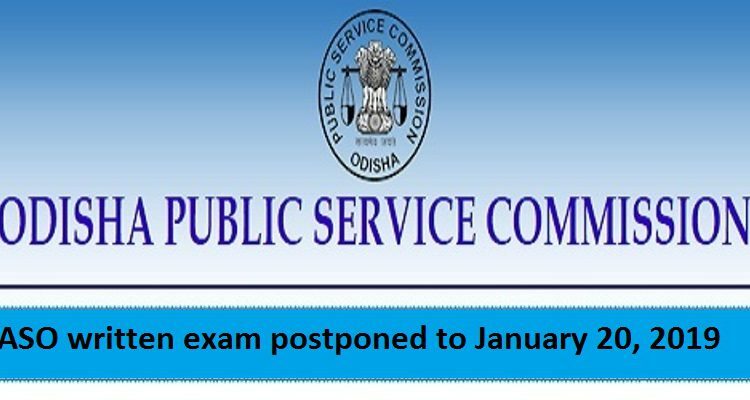 Bhubaneswar: Odisha government on Monday postponed the written examination of Assistant Section Officers (ASO) to January 20, 2019. Earlier, the examination was scheduled to be held on December 23. “It is for information of all concerned that, due to receipt of every large number of applications and consequences and consequent imperative need to re-adjust and re-allocate candidates in different centres, the Commission have decided to postpone the written examination for the post of Assistant Section Officers (ASO) in Group-B off Odisha Secretariat Service, under Home Department, pursuant to Adv. No. 10 of 2018-19 to tentatively on 20.01.2019 (Sunday) instead of 23.12.2018 notified earlier in the said advertisement. 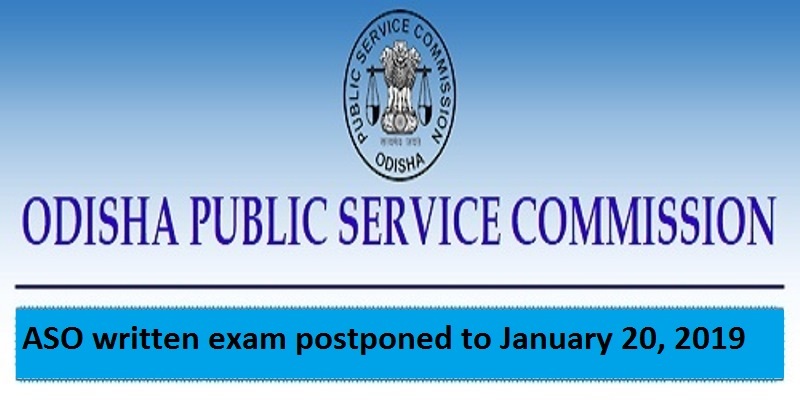 The detail programme will be published subsequently,” said a notification issued by the Odisha Public Service Commission (OPSC). “The candidates are advised to go through the daily leading newspapers as well as the website of the Commission at http://www.opse.gov.in for details,” added the notification.